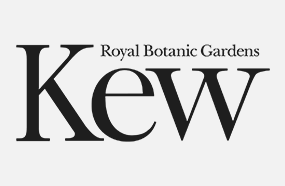 Royal Botanic Gardens, Kew is a world-famous centre for botanical and mycological knowledge and, over the past 250 years, it has made innumerable contributions to increasing the understanding of plants and fungi. The aim of Royal Botanic Gardens, Kew is for us to live in a world where plants and fungi are understood, valued and conserved. Hannah Fraser, Recruitment Advisor at Royal Botanic Gardens, Kew, was describing the organisation’s recruitment processes before it implemented Unit4 Recruitment. “It was thorough though!” she added. Before Unit4 Recruitment arrived, the team at Royal Botanic Gardens, Kew (RBG Kew) had to send shortlisting packages to panel members and used to create paper folders for each candidate. With 10,000 applications received annually, something had to change. RBG Kew implemented Unit4 Recruitment in 2014. Since then, the HR & Recruitment team has been able to automate almost every element of their recruitment administration, which has made hiring processes significantly quicker. In fact, RBG Kew was able to rethink its team structure and make a tangible cost-saving of around £16,000/annum due to the reduced administrative work. Killer Questions is a Unit4 Recruitment feature which enables organisations to set essential criteria questions before a candidate begins the application process. If the answer is ‘no’, a candidate cannot progress to the next stage of the application as they do not meet the minimum criteria. This simple step minimises the time spent reading applications that simply aren’t suitable. If, for example, it takes 5 minutes to read an application form and 50 applicants are completely unsuitable, using the killer questions function could save 5 hours of painful shortlisting! It also manages candidates’ expectations of a role and ensures they are not spending time applying for unsuitable roles. Hannah and her colleagues recruit for an incredibly diverse range of roles, from day-to-day operations staff to highly niche scientific roles. For a recent project, RBG Kew was approached by KU Leuven, a Belgian university. It needed a PHD student to work on a study of the genetics of banana seeds, and asked RBG Kew to attract and recruit the candidate. This example is a testament to RBG Kew’s international reputation, in addition to the strong and professional recruitment process it offers candidates. Attraction and engagement – what can we learn? Despite recruiting for roles which require an incredibly niche skillset, for many roles attraction isn’t an issue for RBG Kew, due to the organisation’s global reputation. However, Hannah takes a proactive stance to continue to enhance RBG Kew’s recruitment activity. “I’m always interested in new tools and platforms to help shape our sourcing, attraction and engagement strategies. Most recently I’ve been exploring Researchgate, which is an academic network. Hannah’s advice extends to her experience working with Hireserve.